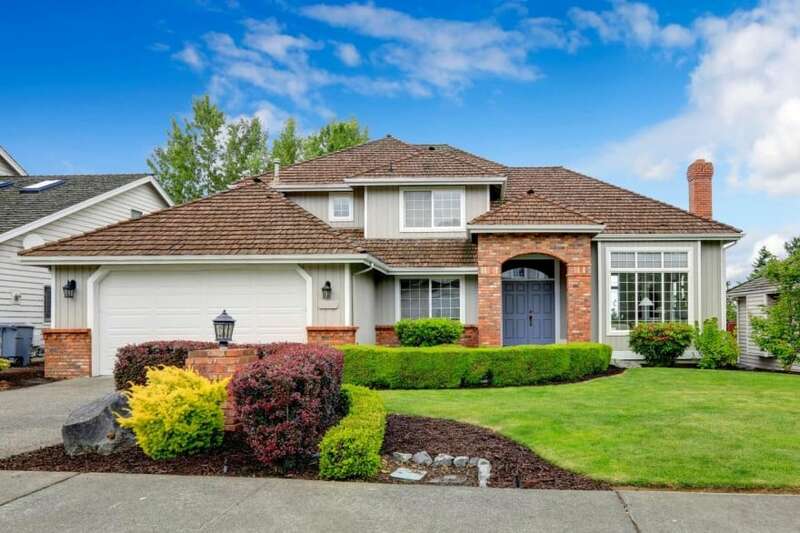 Are you looking to add some curb appeal to your home? 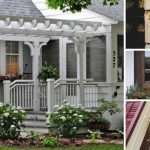 If so, read on to learn the top ten curb appeal ideas that will give you a great ROI. Are you thinking of selling your home in the next few years? While you may not be quite ready to put it on the market, you should still consider making some upgrades. Not only will renovations make your home feel cozier while you’re still living there, but they can help you get more money out of your home when it’s time to sell. Unfortunately, not every upgrade will give you a favorable return on investment. In fact, some may even hurt your home’s value–and nobody wants that! One of the best places to focus your upgrades on is the exterior. 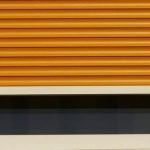 There are some curb appeal ideas that can give possible buyers a great first impression of your home and may make them more likely to buy. Do you want to know how you can increase your home’s curb appeal? Keep reading to find out! You may think that having a classic white door is the best idea. It goes with everything and doesn’t alienate potential buyers with different tastes, right? Well, as it turns out, you may want to consider giving that door a new color. Bold colors, like red and teal, can make your home seem friendlier and more inviting. Plus, it’ll really make it stand out on your street. If you really want to accentuate your entryway, consider framing your front door by installing windows around it. It’ll make your entryway seem more luxurious which will attract more high-end buyers. Plus, it’ll add more natural light into your home’s interior which can help make it look warmer. If you don’t like the look of all those windows, consider an alternative. You can install windows down either side and use crown molding across the top instead of an additional window. Your entryway will still look luxurious, and you’ll save a little money. It’s no secret that your roof is an important part of your home. Potential buyers will be sure to look at the condition of the roof when they visit and be sure to have an inspector look at it before making an offer. If your roof looks noticeably old and worn out, it may put buyers off. Getting roof maintenance done is a great way to make your home look newer from afar and put you at ease knowing you won’t get any leaks before you move. You can see more here about roof maintenance and repair. We may have come a long way over the past few decades, but many people still dream of raising their family in that perfect home with a white picket fence. Bring this dream to life by installing an actual white picket fence around your yard. This is one of the best ways to improve your home exterior and see a nice return on investment. Not only will it help you sell your house as the perfect package for any family, but it’ll certainly put those dog owners at ease knowing they won’t have to rush to put up a fence. 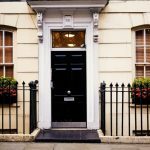 Are your house numbers looking dingy and dirty? If you can’t clearly see them from the street while driving by, they may be downgrading the look of your home. This is perhaps one of the cheapest curb appeal ideas. You can find house numbers for around $20 at your local hardware store and attach them to your home or mailbox yourself. It’s no secret that flowers can make your home look happy and inviting. And you don’t have to limit flowers to your yard. Putting planters on your porch is a great way to bring those cheery colors closer to your entryway. Even if you intend to take your planters with you when you move, it’ll give off a great first impression when potential homebuyers come for walkthroughs. Do you have a nice flower bed in your yard? You can take this to the next level by lining it with stones or bricks. Having a distinct end to your flower bed will make your yard appear finished and cleaner than just going straight from mulch to grass. Of course, you’ll also want to clean up any stray pieces of mulch from your yard. Remember, you’re not just selling a house– you’re selling a home. You want buyers to see themselves raising kids and growing old together here. In addition to the white picket fence, a porch swing is another way to help sell that future. It makes your house appear quaint and cozy, and it may just get you a higher offer when it comes time to sell. 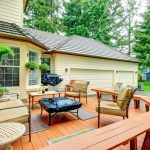 You may have noticed an overall theme to these curb appeal ideas–making your home seem more inviting. What better way to welcome people into your home than by adding a stone pathway. This gives guests a clear walkway from your driveway (or the street) to your front door. If you want to take this to the next level, you can line your pathway with flowers or greenery. While the small details can make a huge difference, you shouldn’t forget about the bigger picture either. Repainting your exterior is one of the best ways to increase your home’s curb appeal. It’ll make your home look nicer and newer to potential buyers. If you don’t want to splurge for a new paint job, consider power washing your siding to get all the built-up dirt and grime off. You’d be surprised how much better your home’s exterior looks after a nice cleaning. Whether you’re ready to sell your home tomorrow or want to keep it for a few more years, it’s always nice to give it some upgrades. 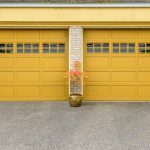 Just follow our list to learn the best curb appeal ideas to make your home stand out from the rest. Do you want more tips on improving your home’s exterior? Check out our blog for more great articles like this.